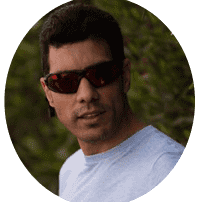 Ahmed Hussam is a Social Media Consultant, Designer, Developer, Photographer, Adobe User Group Manager, Tuts+ author, Hootsuite EMEA Ambassador, Technology Geek. Ahmed Hussam is a Social Media Speaker & Consultant with 5+ years of regional experience. He is co-founder of Tattlr and headed Tattlr Qatar’s office for a couple of years. In April 2014 Ahmed became Hootsuite’s first EMEA Ambassador in the Middle East and GCC region. Ahmed is also a seasoned Designer & Developer, He used to teach Computer Graphics at Faculty of Fine Arts and the Cairo Higher Institute for Engineering, Computer Science and Management, He also managed Link Development’s Creative and Development teams for several years and is an Adobe User Group Manager since 2009 and Tuts+ author with several articles on Design. He is also a regular guest on TV talking about Design, Social Media, Science and Technology. Ahmed is a Professional Photographer holding a couple of prizes from Kodak and Nikon and was the first to introduce the international Scott Kelby World Wide Photowalk to Egypt in 2009, He is also a sports enthusiast holding several national gold medals in rowing.